Mobile engine tuning specialists for Worcester and the West Midlands with experienced technicians and the very latest diagnostics and remapping equipment to ensure the best performance every time. Petrol or diesel, car, van , lorry or fleet, please give us a call. Actuation testing and adjustment for all ECU controlled components I.e. Alfa Romeo, Audi, Bentley, BMW, Chevrolet, Chrysler, Citroen, Corvette, Daewoo, Daihatsu, Daimler, Ferrari, Fiat, Ford, Honda, Hyundai, Jaguar, Jeep, Kia, Lamborghini, Lancia, Land Rover, Lexus, Lotus, Maserati, Mazda, Mercedes-Benz, MG, Mini, Mitsubishi, Morgan, Nissan, Peugeot, Porsche, Proton, Renault, Rover, Saab, Seat, Skoda, Smart, Ssangyong, Subaru, Suzuki, Toyota, TVR, Vauxhall/Opel, Volkswagen and Volvo. Guaranteed virus check and attention to all fault codes before any performance tuning is carried out and if your vehicle is not fit for ECU upgrade, we will advise you beforehand. All our work is guaranteed and comes with free of charge reversals and, should you lose your modified software due to dealer actions or parts failure, we will be happy to re-install the map onto your vehicle free of charge for as long as you own the vehicle. You can easily find more information on our web pages, whether it’s Engine Tuning, Remapping, Turbo’s, Intercoolers, Exhausts, Air Induction Kits or Car Trackers in Worcester. Please give us a call if you need to know more, we look forward to hearing from you. 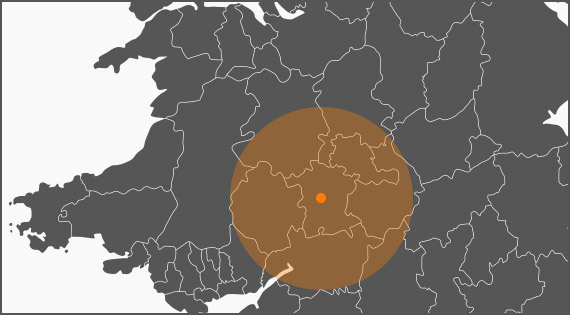 Based in Worcestershire we can cover other areas including Herefordshire, Gloucestershire and Warwickshire.